"Selling your home can be a tough and stressful process, especially in NYC. Having been raised in a family with a strong and deep rooted background in real estate, Shawn has had a great understanding of the New York City real estate market from a very young age. He is not interested in building a long list of clients; rather he is interested in building relationships with his clients. These relationships allow for his clients to feel as if they are dealing with a friend that is looking for their best interest rather than an agent who is trying to obtain their own objectives. Specializing in Manhattan, Brooklyn and Long Island City, Shawn knows the trends of every market. His clear and concise no pressure approach, keeps Shawn’s clients coming back to him anytime they need assistance, as well as continually referring him to friends and family. Always surpassing his clients expectations, Shawn takes the time to understand his clients specifications and contouring his search based on their needs. 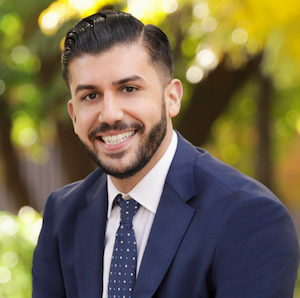 Shawns dedication, attention to detail and work ethic is quickly noticed by his clients and his peers; keeping up to date with prices in every market keeps Shawn one of the most knowledgeable agents in NYC and one of the top producers in all of Long Island City. Unlike most agents who are only concerned with the end result of the sale or purchase process, Shawn takes the time to ensure his clients not only receive the best possible service but also have full understanding of every detail throughout the whole journey. Allow Shawn to show you how easy selling or finding the ideal home is when you work with a professional who knows the market and diligently works for you until you are satisfied! Shawn is a recognized member of the Real Estate Board of New York as well as a Certified Buyers Representative."